Surprisingly spooky with the background too! Hope it wasn’t the same one?!? 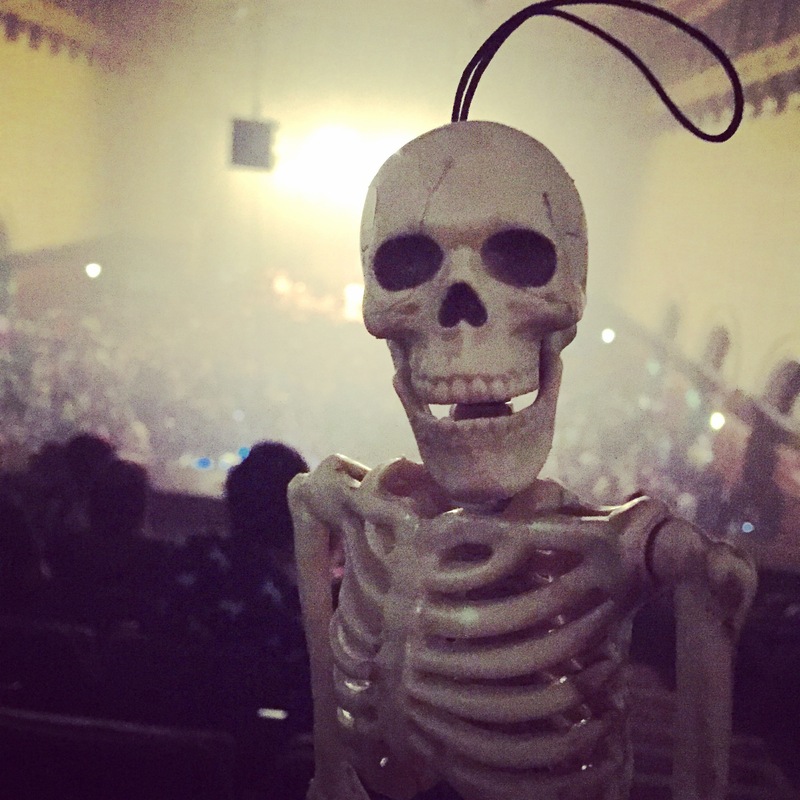 Did you go to a concert or play with a skeleton? Cute photo.